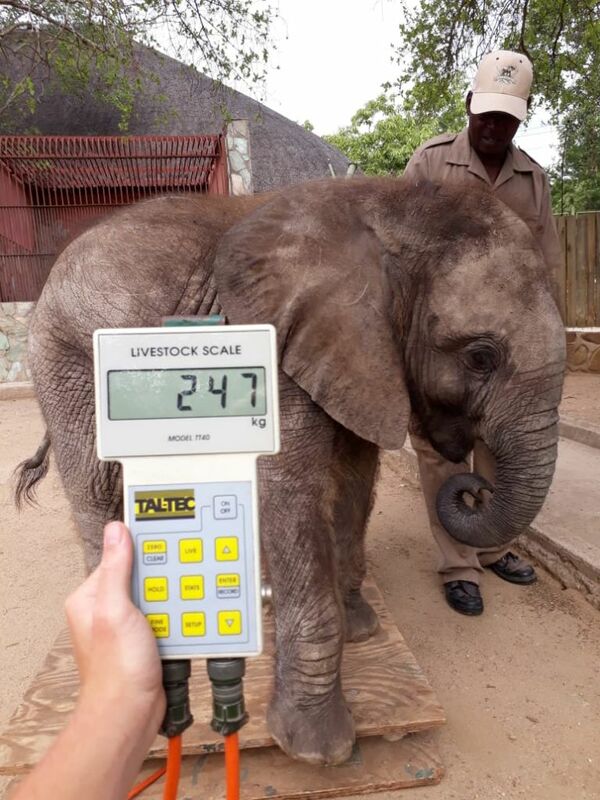 From 78Kg’s to 247Kg’s: A year since orphaned elephant Mopane was brought into our care. 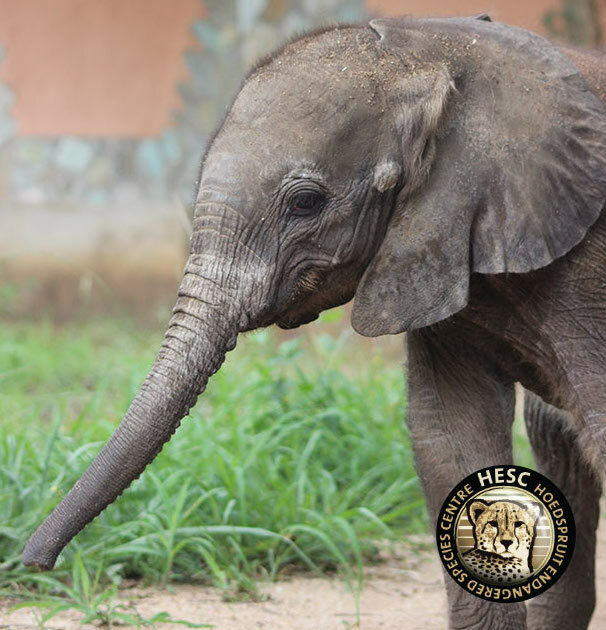 It has been a year since orphaned elephant Mopane was first brought into our care at HESC. 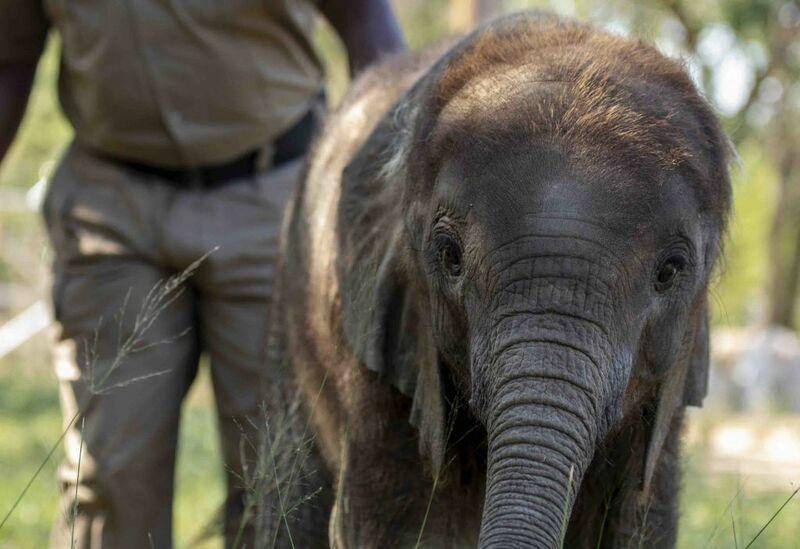 He arrived on 8 December 2017, after being found wandering on his own in the Kruger National Park, near Phalaborwa, at an estimated three to four weeks old. 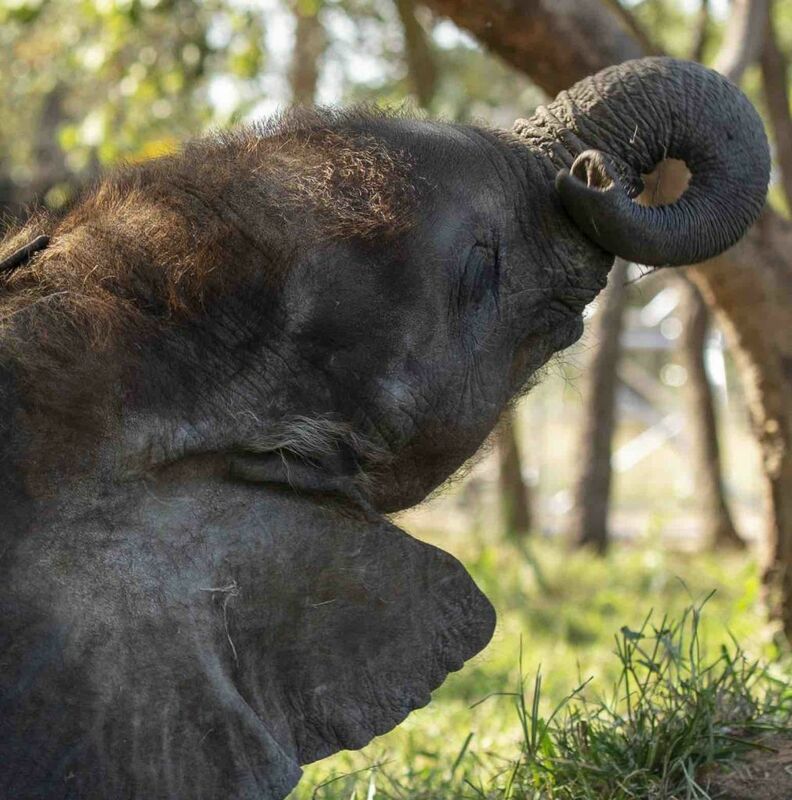 This young and scared elephant calf weighed a mere 78Kg’s (172lbs), and was badly dehydrated, but fortunately he had already drank some water from the team on the journey from where he was found to us at HESC. We called wildlife vet, Dr. Peter Rogers to be with us at Mopane’s arrival, to assess his condition, and treat him as necessary. Dr. Rogers treated him for dehydration, and also found an infected belly button, and a suspected problem with his back-right foot, where he was not applying full pressure to it. Upon further investigation from Dr. Johan Marais of Saving the Survivors and the fact that his gait improved over time, it was decided that his bones may have been slightly “underdeveloped”, due to mineralisation. Fortunately, with time, Mopane started to apply pressure equally to both feet. His belly button infection was successfully treated too. From December 2017 onwards he has continued to show ongoing healthy weight gains, though he had a setback in October, where he took a bad turn, and was showing signs of weakness and a lack of appetite. 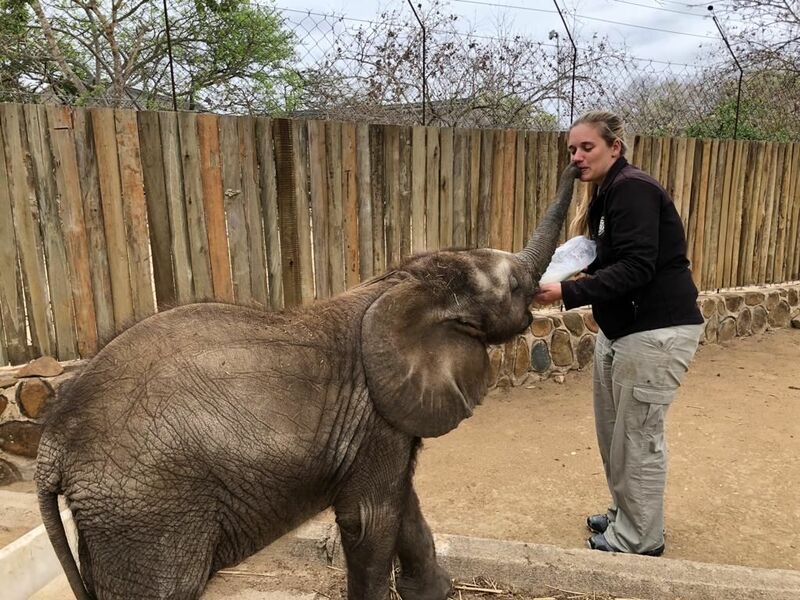 Blood results showed low albumen levels, and it was decided to give Mopane a blood transfusion from a healthy adult elephant called Setombe, at Camp Jabulani, which proved to be a success. 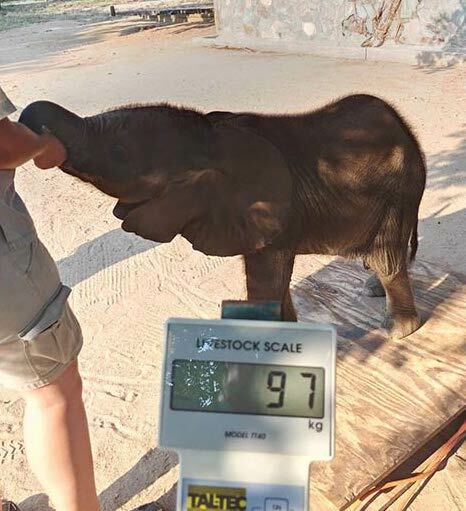 We are delighted to report that as of December 2018, Mopane officially weighs 247Kg (545lb), and is becoming a strong and healthy young elephant bull. He still has his bottle feedings of milk, but is spending most of his day out foraging in the perimeters of the HESC grounds. 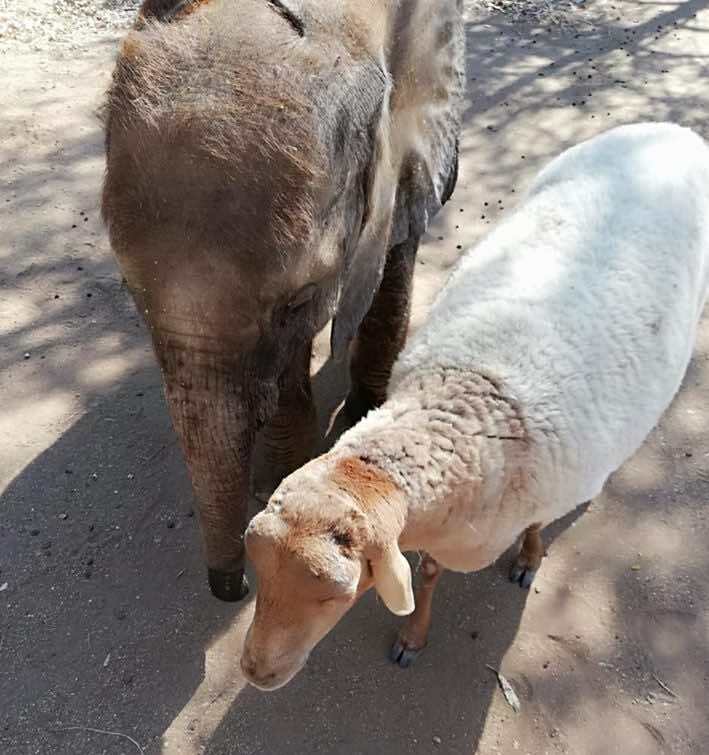 A special mention about a special sheep called Lammie, that was there from the moment Mopane arrived, to provide animal friendship and support, that we are so grateful for. Further thanks go to Mopane’s carers and the curators at HESC, who have worked countless days and nights from the day he arrived, ensuring that he has the best care, love and attention at every moment. Many do not realise the true hard work and dedication that goes into looking after an elephant calf, nor the huge responsibility. Many are curious as to what the next step is for Mopane. Once we feel he is ready, we will introduce him to the unique elephant herd at Camp Jabulani. The Jabulani herd have accepted four orphaned elephants over the years, where very often wild herds are not as accepting to do so. We have not confirmed a date for this introduction, but will decide during the coming months. We appreciate everyone’s love, kindness and support during the past year of caring for Mopane, both emotionally and financially. It would not be possible for us to do the work without the support we receive. 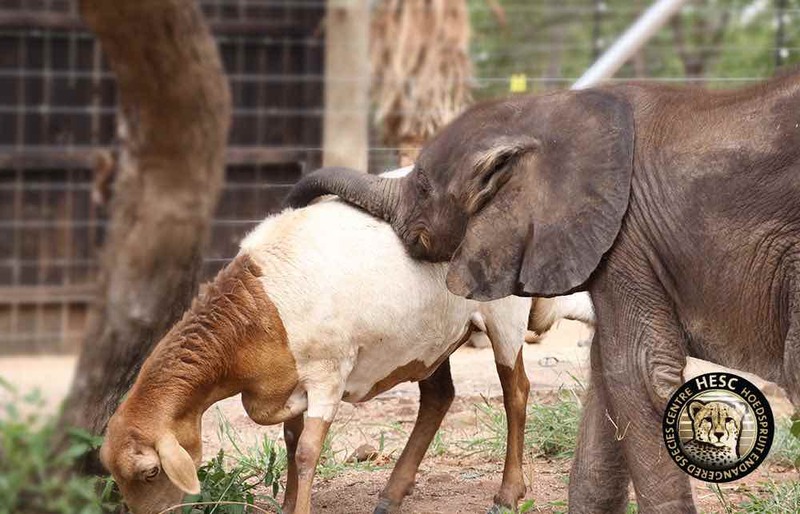 Thank you for the wonderful information about Mopane’s story. Our pleasure, Kathleen. Thanks for taking the time to read it!